Good food is big business and fine dining has become key to a profitable future for many pubs. Whether you are buying a city pub with a lunchtime trade or a ‘destination’ pub ready to exploit a rural location, food is a great way to increase revenue and attract new customers. But if you plan to take the leap from sandwiches and crisps to being a fully fledged gastropub (or if you're looking to buy a pub and grow your income), you probably need to invest in your kitchen. Talking to your chef if you already have one is also a good idea. He or she will probably have very clear ideas on what they want and where they want it. Careful planning is vital, and you may want to talk to a commercial kitchen provider. They may try to sell you a great deal of expensive kit – but listen to their advice, even if you don’t always agree to buy top of the range kit. Your first thought will probably be about big appliances such as ovens and grills – the things that actually do the cooking. However, the most costly areas are probably ventilation, plumbing and refrigeration. Ventilation is specified by legislation and is essential to remove smoke, steam and grease. Systems can serve the entire kitchen and will need maintenance. Sinks and plumbing need to be high quality and meet hygiene needs. Stainless steel prep tables are durable and easy to wipe clean. Include sinks for your pot washers and a separate hand wash basin. Fridge or freezer space. How much you need will depend on how often you can expect deliveries. The more remote your location, the more storage you may need. You may also need to incorporate refrigerators in the prep area to keep food at its best. Deliveries. Designate a place to drop deliveries without delivery personnel having to charge through the food prep area. Commercial ovens can be gas or electric. Gas is seen as heavier duty and is preferred by some chefs for its adjustability. However, your kitchen may not have access to a gas supply – in which case you may need to have it laid on. Failing that, establish whether your electrical supply is up to the task of powering your ovens. It’s easy to see why buying and installing a commercial kitchen can entail substantial costs. 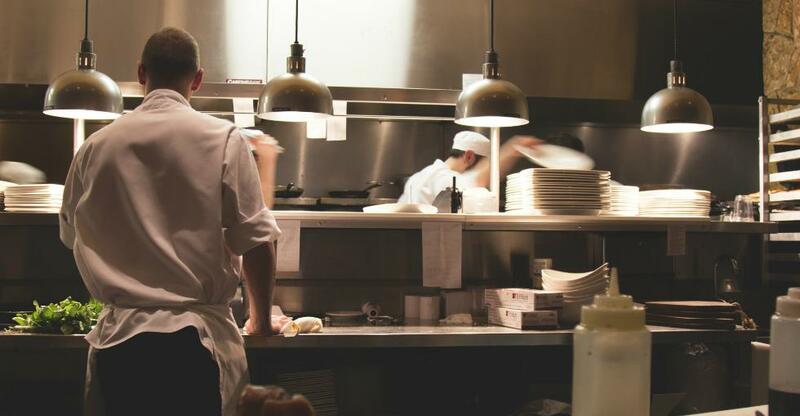 Outlays of between £25,000 and 100,000 are not uncommon for a complete pub kitchen. This may sound impossibly expensive for many pubs, but asset finance solutions might allow you to spread the cost over several years – by which time your new kitchen could have already paid for itself many times over. We have an online tool to help you find the type of business funding that best matches your needs and the most competitive quote from more than 300 lenders. Why not see if it could offer a solution to fit your budget?